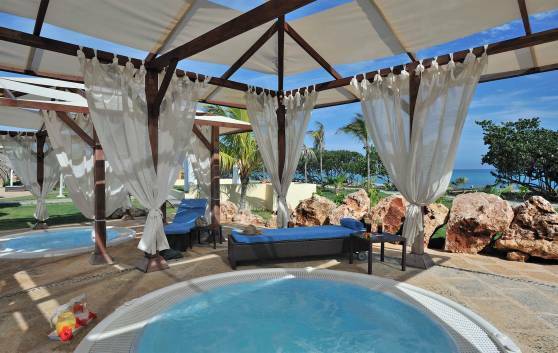 The SPA is located between an area of lush vegetation and the sea, and it is open from 09:00 to 19:00. 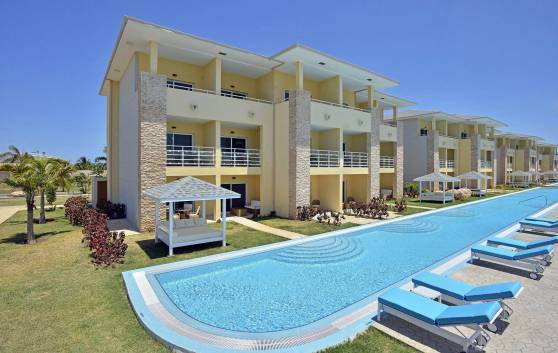 Provided with two hydrothermal circuits with janzu pool and free pool, and two outdoor Jacuzzis. Every circuit for man and woman is provided with sauna, steam, footbath, drizzle shower, two Jacuzzis, Balinese showers (outdoor), dressing rooms and relaxation lounges. Provided with four comfortable booths and two air conditioned massage suites totally equipped, that alternate with six sea view booths offering massages either for individuals or couples. 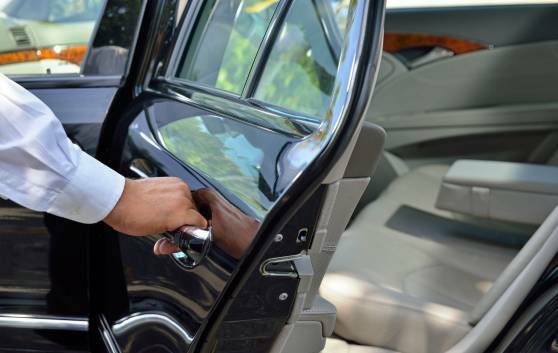 Personalized valet attention. Relaxation terraces. Beauty salon service for ladies and gentlemen. Gym open from 07:00 to 20:00 and equipped with weights, aerobics room, and cardio equipment including treadmills, bikes and stair-climbers, among others. Instructor available. Treatments and rituals carried out by certified therapists. 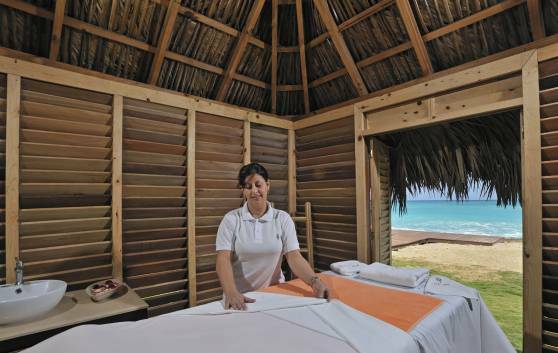 Spa menu with a selection of the most exclusive treatments of the world with Cuban flavors and scents. Taking care of our health and appearance should always be a priority. 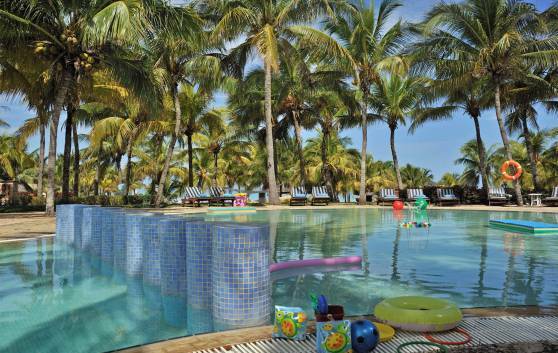 Is there any better place than a beautiful ecological Resort by the seaside...? 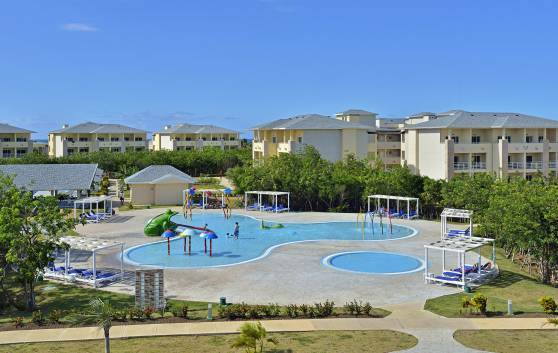 At the 5-star All-Inclusive Paradisus Varadero Hotel, guests will enjoy a fantastic view of the crystalline waters and the possibility of scuba diving in the colorful ocean depths. 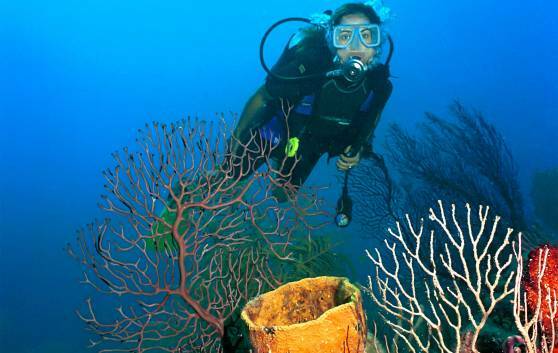 Varadero is a great diving destination where you can discover breathtaking coral reefs, caves and prolific ocean wildlife; in addition you can know the blue hole. 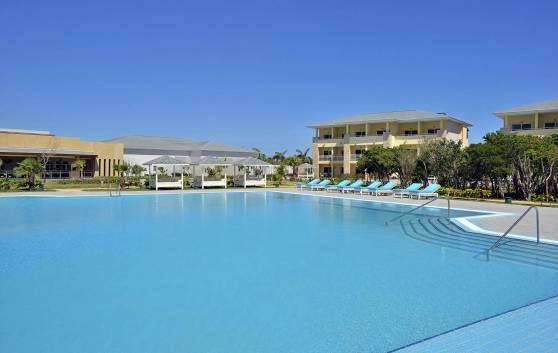 Paradisus Varadero offers a variety of scuba diving packages and initiation courses provided by PADI and SSI - certified instructors. Plan you diving holiday in Cuba. Please ask about the conditions for this service. For those who want to explore Varadero and other tourist destinations in the country; Vía, the Gaviota land transport company offers you this opportunity daily at the Paradisus Varadero reservation desk. You will agree that the best way to really get to know a place is to visit it by your own means. This spectacular swimming pool, in the form of a lake and surrounded by lush vegetation, covers an area of 2,400 m2. 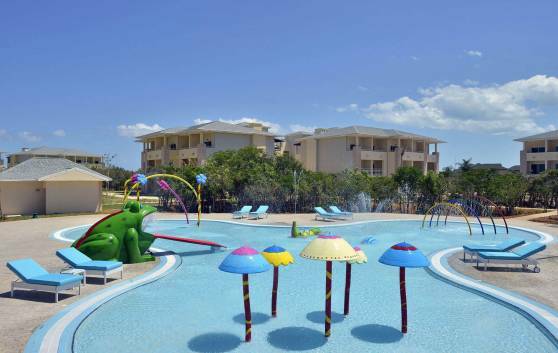 It has relaxation areas and splash pools, as well as a section designed especially for the youngest members of the family. 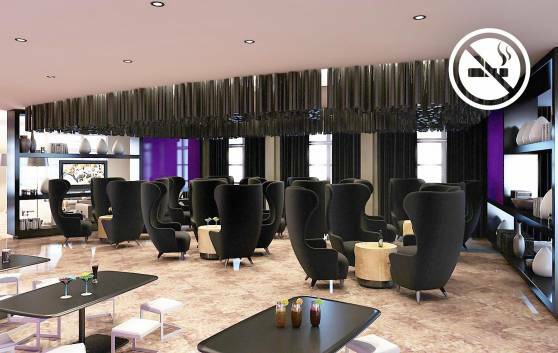 Its other attractions, the Toa Aquabar and the Club House, ensure that this space is lively at any time of day or night. 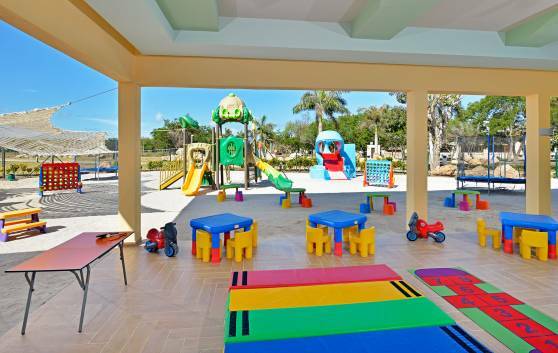 Shady areas and a lifeguard service ensure that this is a safe place for young children to spend many a happy hour as it has been designed with them in mind. 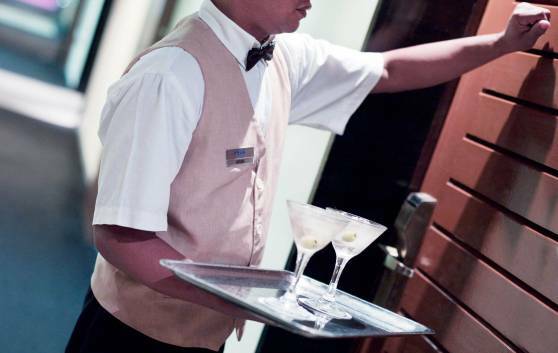 Sandwiches and refreshing drinks are also available and offered with impeccable service. Amazing adult's pool measuring 524.2m², with areas for rest and relaxation. 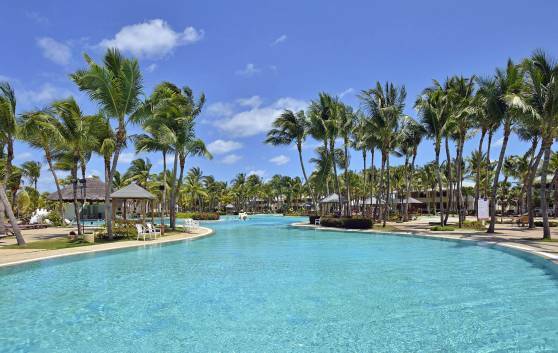 The Aqua bar and covered snack bar market grill, not to mention the personalised pool concierge service, lend a touch of distinction to these relaxing waters. Safety, water games and the services of a covered snack bar market are the characteristics of the pool for the younger ones, to ensure that they have an amazing holiday, in a space designed especially for them. Children under 4 years of age can make their first splashes in their very own pool, designed for them and for their parents' peace of mind. There is also a covered snack bar market grill area. From the Swim Up Pool rooms you have direct access to the Swim Up pools, which are designed as private pools and shared by 2 or 3 bungalows, for enjoyment and relaxation close to your room.